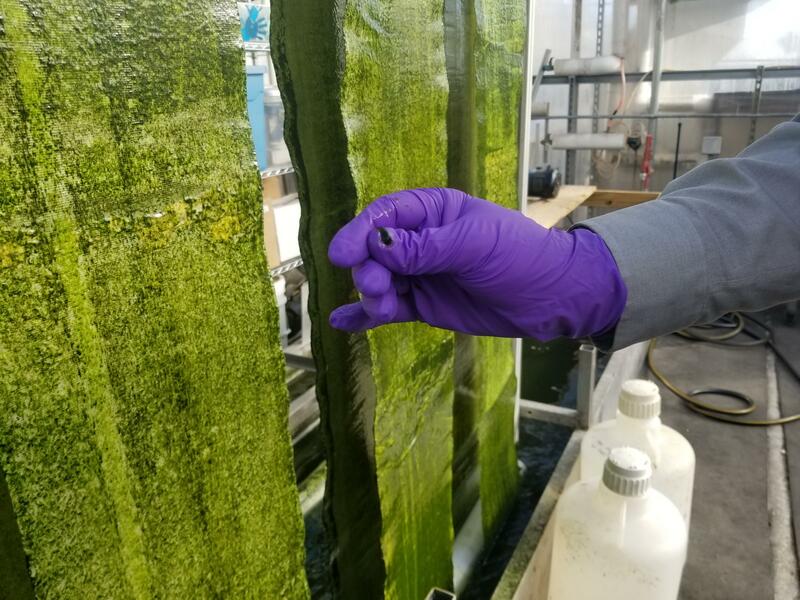 Gross-Wen Technologies is growing algae on belts that circulate through wastewater as a cheaper way to clean that water of phosphorus and nitrogen. It also harvests that algae, scraped off easily here by a gloved hand, to use as slow-release fertilizer. But they’re not headed to the farm: Think tractor financing, food products and farm technology. 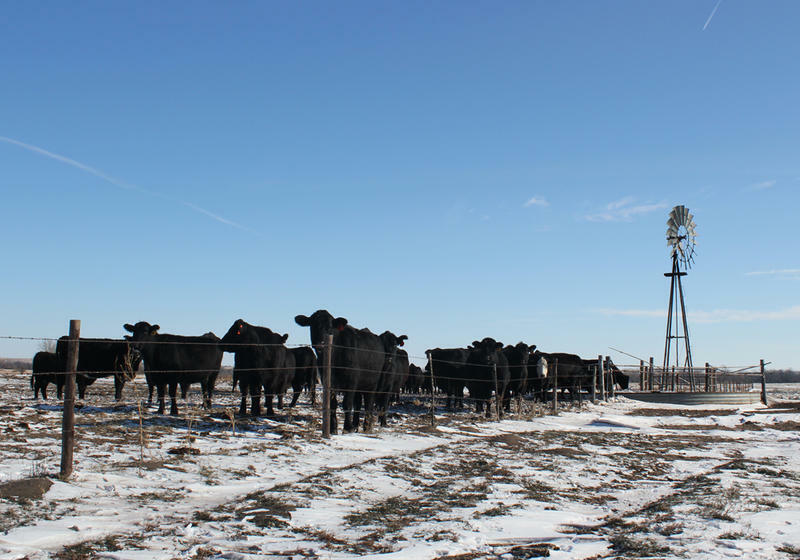 Harvest Public Media's Madelyn Beck reports on what you can do with an ag degree other than farm (hint: there's a lot). 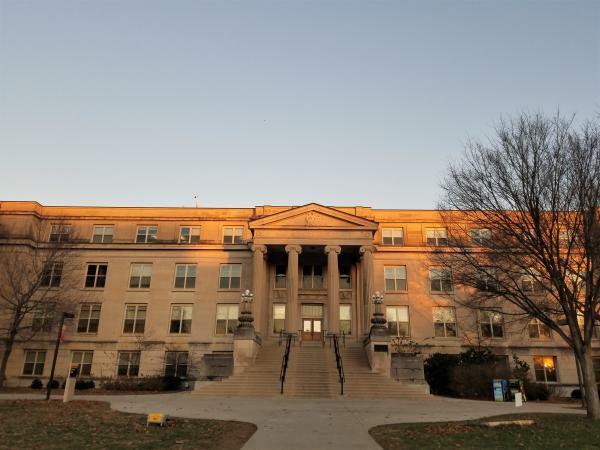 Iowa State University is a major center for ag education, and the College of Agriculture and Life Sciences saw its largest graduating class in the 2017-2018 school year — 1,124 students. Mike Gaul, the college’s career service director, said that if trends hold true, only about 8 percent of those graduates will farm. Others will either focus on animal science, aiming to become veterinarians, or into ag business, where the majority of graduates at ISU already had jobs in areas like sales, lending or merchandising when they received their diplomas. 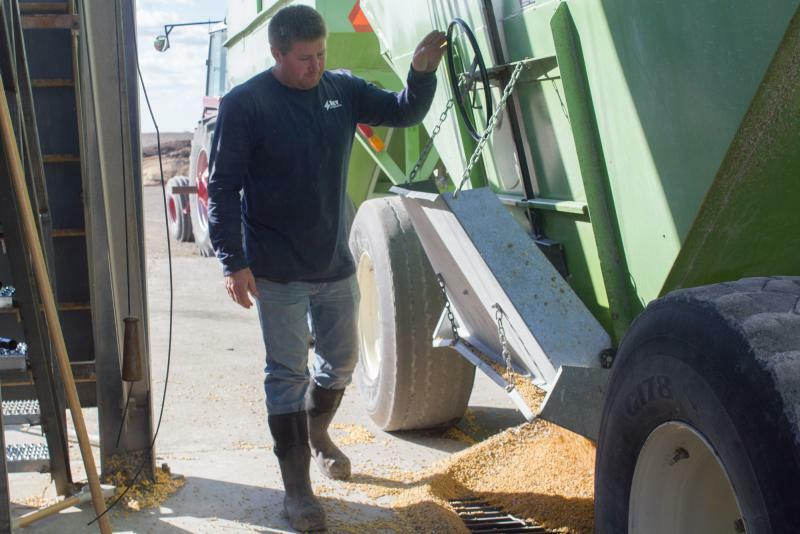 “Despite everything that’s going on out there right now with low commodity prices and tariff implications and all that stuff that’s going on, it’s still an incredibly good time to be a student in agriculture,” Gaul said. Beyond those majors, he said there are some that companies can’t get enough of: horticulture (think landscaping and golf course grooming) and food science. “But I think the nature of agriculture also means managing risk when you’re dealing with living plants and animals,” he said. He pointed to an ISU survey of those who received bachelor’s degrees from the university between 1982 and 2006. Of those earned through the ag college, 20 percent have started at least one for-profit business. Kimle’s eyes lit up when he talked about former students and all the things they go on to do, like 2013 graduate Colin Hurd. Hurd already sold his first ag-related business called Agriculture Concepts, which used planting technology he developed, and is making headway in autonomous tractors with his second business, Smart Ag. What’s algae got to do with it? There’s a little greenhouse on ISU’s BioCentury Research Farm, that would be nearly impossible to find without help. The facility, which helps make students’ business ideas reality, is a maze of offices, warehouse areas and testing facilities. But once you’re through a little back door, you reach Gross-Wen Technology’s testing ground for its wastewater-cleaning system: a bunch of bright green, algae-laden belts cycling vertically up and down into wastewater. His idea was to use algae to treat wastewater, which he said creates “algae biomass. And that algae biomass can be sold and made into a variety of products” — like the slow-release fertilizer his company is making. Gross-Wen’s water-cleaning algal process is being used in Chicago and a few towns in Iowa so far. His idea began at ISU, where he obtained ag-affiliated degrees, like a bachelor’s in biology, master’s in food science and technology and Ph.D.s in food science and technology and agriculture and biosystems engineering. He started the business in 2014 with one of his old professors, Zhiyou Wen, and officially finished all schooling in 2015. But it’s not just former students changing the face of agriculture. College degrees are evolving as massive ag companies seek graduates who know not only about agriculture, but also business, finance and technology. The University of Illinois, for example, is offering a new degree that meshes computer science and crop science. There are just three students enrolled in the major, including freshman Omkar Manoj Haridas. When he was in 10th grade in Bangalore, India, he had to make a choice between studying biology and computer science. “In the end, I decided on choosing computer science, but that was a very hard decision. And I was still interested in biology,” he said. He’d already created a few of his own computer programs to play things like Battleship, and was looking at Illinois’ renowned computer science program when he spotted the new major. Haridas’ goal is to capture the vast amounts of data gathered on the farm to create better seeds. Sifting through the data and understanding it correctly will take a certain level of expertise, according to Adam Davis, head of the school’s Department of Crop Sciences. “When people graduate from computer sciences with a straight computer sciences program, they may be able to ultimately learn some domain knowledge in other fields, but this gives them the head start by training in parallel, and there are many, many employers lining up very interested in students with this type of dual degree,” he said. Davis stressed that ag degrees like the new one are for people who want to improve the global food system — no matter if they come from a farm background. For the past several years, Veteran's Day for me has been a solitary celebration. I don't participate in breakfasts, parades, nor do I even leave the farm. For me, Veteran's Day has been the day I plant garlic. 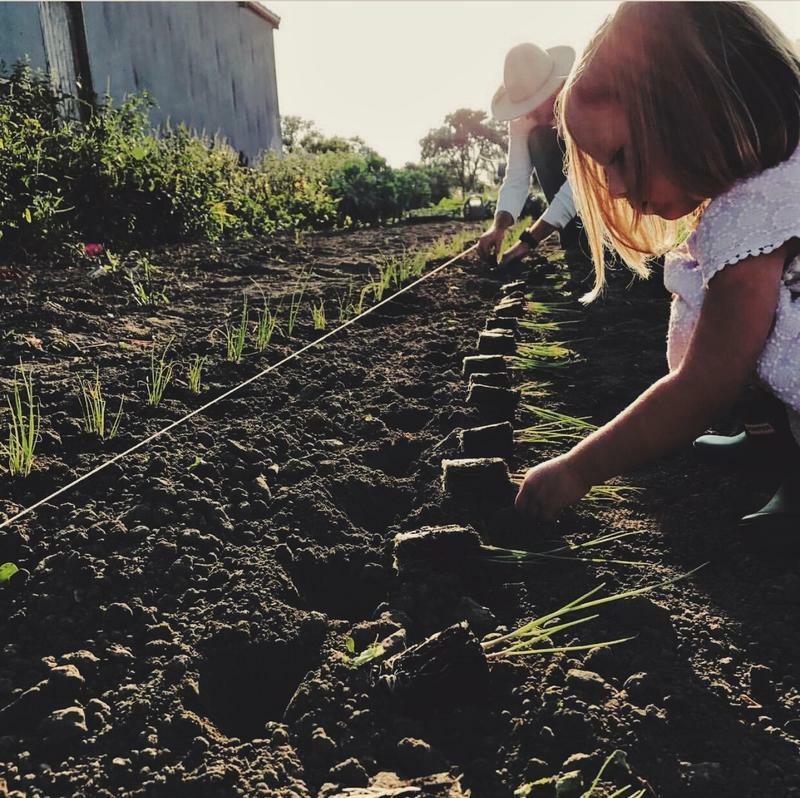 Having little time in the fall when I wasn't teaching or supervising FFA events, the November holiday provided the perfect opportunity to get the 300 plus cloves of garlic in the ground. You see, garlic needs the cool soil of fall to initiate germination and ensure a bumper crop the next summer.